Place the greens in a large bowl. 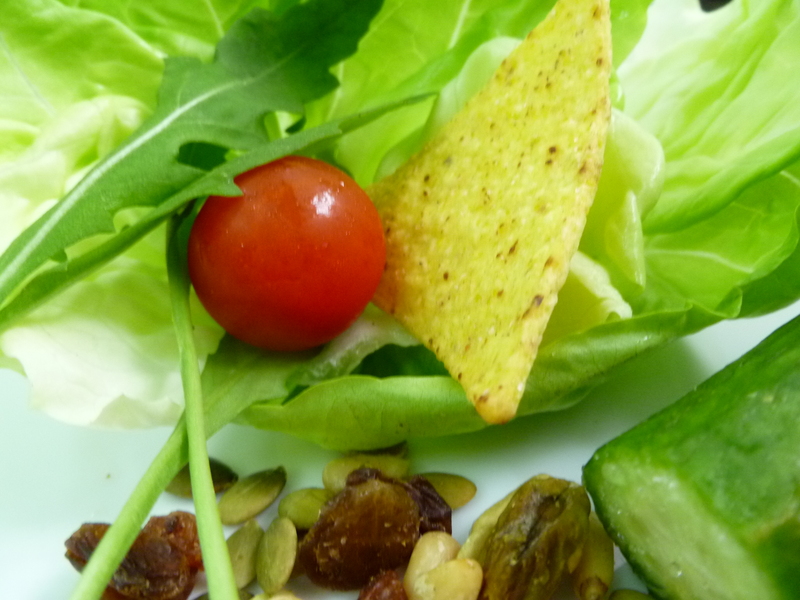 Crumble in some corn tortilla chips and toss with the greens. In a smaller bowl, mix together the cherry tomatoes and cucumber. Divide the greens/chip mixture among individual plates. Arrange the tomato/cucumber mixture attractively on top of the greens. Sprinkle each salad lightly with the nuts, raisins and seeds and spoon dribbles of vinaigrette down and around on each salad. Garnish each salad with a Serrano chile if you are using them. Blend all the ingredients except the olive oil until well combined. Add the oil and process until well blended and smooth. The peaches and tomatoes switch places in Variation II. 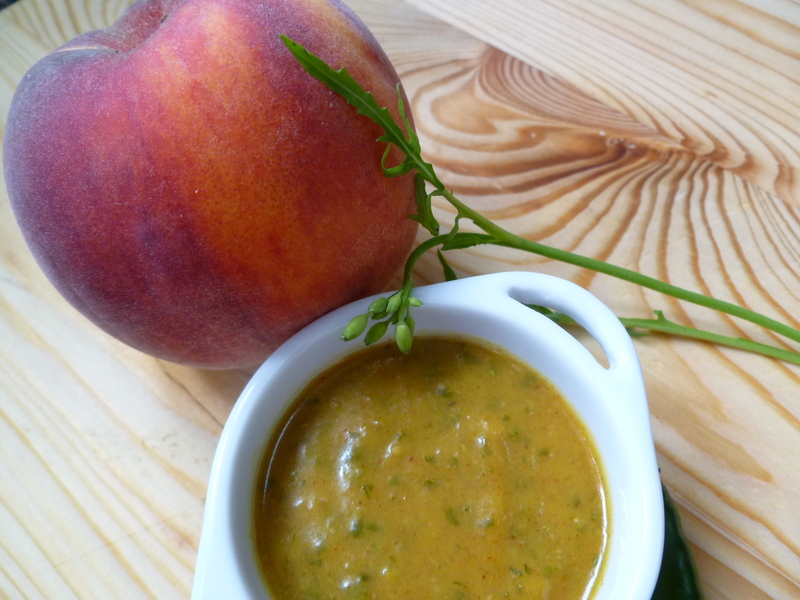 The peaches and lettuce are a delicate combination and so, make an especially good choice for a salad course. The vinaigrette has a fresh taste and a slow burn that surprisingly enough, doesn’t overwhelm the fruit. Leave out the cashews if you are serving this for a dinner party. Without them, this is a salad course that won’t be too heavy, nor will people hurry through it, because the combination of flavours is pleasing and unexpected. The serrano chile garnish works here too. Whole unsalted cashews, browned in a dry pan or in the oven at 400 F.
Arrange the greens on individual plates. 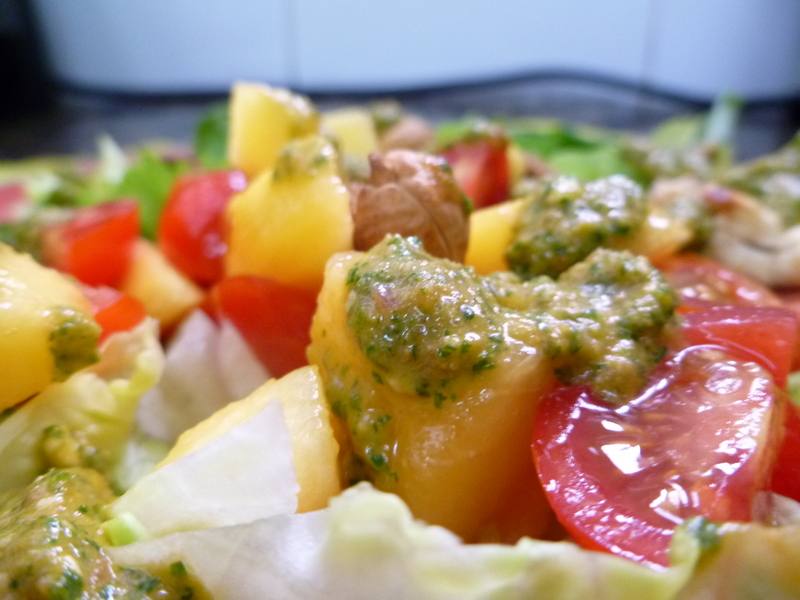 Arrange cherry tomatoes and peaches on the greens. Sprinkle each plate with a few cashews, if you are using them. Dribble small blobs of vinaigrette around on each salad, and add the serrano chile garnish if you like. 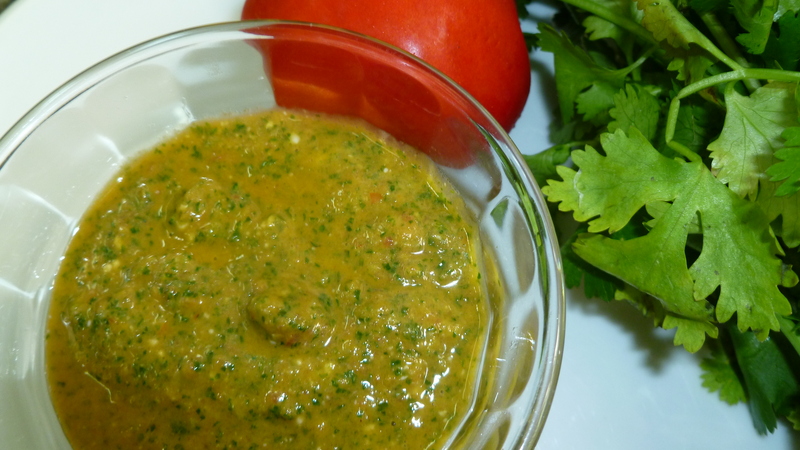 Combine all the vinaigrette ingredients in a food processor and mix until smooth. *I have made use of ideas suggested by other blogs (Eat. Drink. Smile and Steamy Kitchen), as well as a salad recipe from an issue of Gourmet Magazine from the early eighties.